Is it any different for a foreign nation like Russia to take measures to influence the elections in another country and one individual using means to influence elections in other parts of the nation where they do not reside? 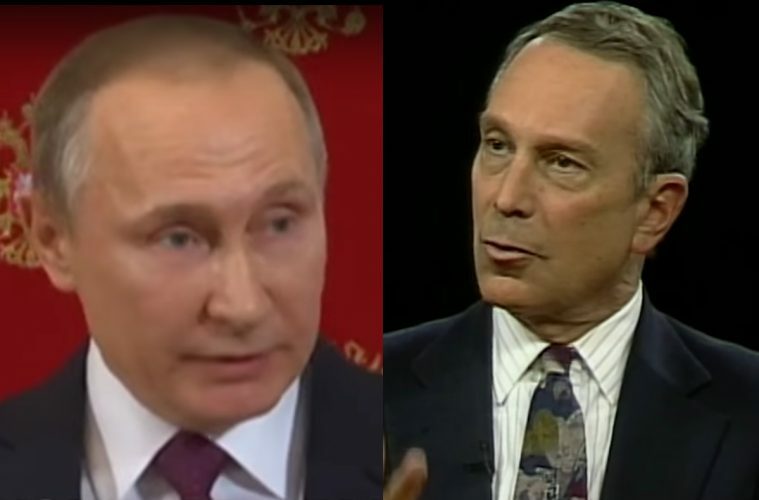 If Putin did use hacking in an attempt to influence the American presidential election, is that any different than someone like Michael Bloomberg spending millions of dollars to influence elections in New Hampshire, Colorado or New Mexico where he does not reside? How ethical is it for anyone with lots of money to use that money to influence legislation in other cities and states from the ones they live in? If candidates are supposed to be restricted from taking foreign donations, should not the same apply to people or entities not located in other voting jurisdictions? Over the past several years, billionaire Michael Bloomberg, former Mayor of New York City, has been spending millions of his own dollars to push anti-Second Amendment legislation in other states like Colorado. He pumped several million dollars into Colorado where liberal Democrats passed stricter gun control measures. I wonder if Bloomberg’s millions will offset the millions of dollars the state will lose after several firearm manufacturing firms left the state or when the Outdoor Channel cancelled several programs being filmed in the Rocky Mountain State? Next ArticleWho Identified Trump’s 7 Banned Countries First?